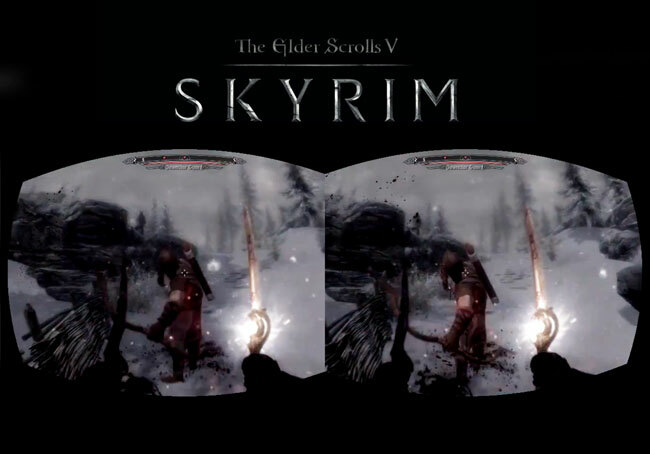 A new video has been up loaded to YouTube showing the new Oculus Rift virtual reality headset running Bethesda’s awesome Skyrim game using the Vireio Perception driver. Watch the video after the jump to learn more about the Oculus Rift Skyrim project and see it in action, and see a glimpse at what will be possible when the Oculus Rift virtual reality headset finally makes it to retail release. The Oculus Rift virtual reality headset is a high field of view headset currently under development by Oculus VR who raised $2.4 million from a successful Kickstarter campaign last year. The Oculus Rift headsets field of view is more than 90 degrees horizontal (110 degrees diagonal), and is more than double the field of view of most competing devices, and has been designed to almost fill the wearer’s entire field of view. Unfortunately no information on pricing or worldwide availability has been released as yet for the retail launch of the Oculus Rift virtual reality headset, but as soon as information comes to light we will keep you updated as always.